Thomas Pynchon is an American novelist best known for his National Book Award winning novel, Gravity’s Rainbow. Ranging from a vast array of subjects, Pynchon’s writings consist of both fictional and nonfiction works. His complex novels with deep meanings experiment with different themes and styles of novel writing. A very private person by nature, Pynchon liked to keep himself away from the public eye. There are only a few published pictures of him and many rumors about his identity and location have been floated over the years. 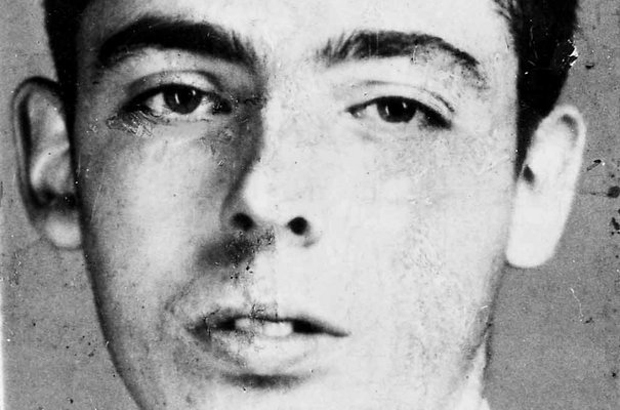 Thomas Ruggles Pynchon, Jr. was born into a middle class family in Glen Cove, New York on May 8, 1937. Growing up in the suburbs of Long Island, Pynchon studied at the Oyster Bay High School where he frequently contributed to the school newspaper using pseudonyms such as Roscoe Stein, Boscoe Stein and Bosc. After graduating from high school as class salutatorian, Pynchon enrolled at Cornell University under a scholarship. Although he entered the university to study engineering, Pynchon later transferred to the English department following his dream of studying literature. He took time off of studies for two years to serve in the Navy after which he returned to Cornell and graduated with a B.A. degree in English in 1958. At Cornell, Pynchon met Richard Fariña. The two worked on a college publication together. The friendship became a lifelong bond and Pynchon dedicated his book, Gravity’s Rainbow to Fariña in addition to serving as his best man and pallbearer. Refusing several fellowships, teaching opportunities at Cornell and an editorial position at Esquire, Pynchon moved to Greenwich Village and devoted his time to writing. Some of his early works which he had started in Cornell, The Small Rain and Morality and Mercy in Vienna were published in 1959 in the Cornell Writer and Epoch respectively. After some time, Pynchon moved to Seattle where he worked as a technical writer for Boeing aircrafts. He spent two years at the facility while continuing to write his own stories and articles. His experiences at the job became an inspiration for his works, V. and The Crying of Lot 49. These experiences along with his educational background in physics provided him with material for Gravity’s Rainbow. After leaving Boeing in 1962, Pynchon moved further travelling between California and Mexico. He lived most of his life in seclusion as a nomad. Although little is known about his personal life, it is thought that he is still living a nomadic life. In 1963, Pynchon published V. which became an instant success receiving favorable acclaim and winning Pynchon the William Faulkner Foundation Award for the best first novel of the year. His next major breakthrough, Gravity’s Rainbow was published in 1973. The book was awarded The National Book Award which Pynchon shared with Isaac Bashevis. In addition to this, Pynchon was also awarded the Howells Medal of the National Institute of Arts and Letters and the American Academy of Arts and Letters which he refused to take. In 1987, he was awarded the prestigious MacArthur Award which grants the winner $1000 times their age. Seventeen years after his last publication, Pynchon published Vineland in 1990 followed by Mason and Dixon seven years later. All through this time, Pynchon wrote book blurbs and introductions for authors such as Tom Robbins and Steve Erickson. These were the only public words provided by Pynchon other than his books and articles.